Is Ebola Coming To America? The deadly Ebola virus has again struck the human race and attracted media attention in it's wake, particularly in the United States. For many, simply hearing or reading about Ebola evokes an uncomfortable and fearful feeling, partly due to media attention and movies like Outbreak but mostly because of the mystery that surrounds it. Is this virus as threatening to us as we make it out to be? The Ebola virus likely begins it's life in African caves and mines within the bodies of fruit bats. Epidemics seem to begin when a single farmer or miner comes into contact with the infected animal. After seven days of incubation (virus making millions of copies of itself), the man develops sudden flu-like symptoms (headache, body ache, fever) and severe diarrhea that rapidly progress to cell death (necrosis), multi-organ failure, shock, widespread bleeding and, in many cases, death. Often, hospital staff or family members also become infected through contact with the patient's bodily fluids. Every couple of years, Ebola cuts through the middle of Africa like a knife, killing up to 88% of those it infects. It's monitored closely by the Center for Disease Control (CDC) for two important reasons: it easily spreads through the air (aerosol) and kills more than half of those it infects (high mortality rate). This is a harrowing combination for a virus but, despite it's label as a biosafety level 4 pathogen, it's currently not very threatening to the human race. Good sterilization and isolation processes help prevent rapid and deadly spread. It's the fear of the unknown, though, that keeps scientists wary. Ebola's lethal potential is recognizable in non-human primates: the virus has caused massive die-offs in gorilla and chimpanzee groups. It seems that the primates produce more infectious aerosol particles than do humans, attributing to the lethality. Luckily, these primate infections rarely spread to humans: only 25 human cases have been acquired from monkeys, with seven ending in death. The typical infection transmitted to humans from primates is more on par with a common cold. If this virus were to acquire the same virulence (or lethality) in humans as in monkeys, the results would be catastrophic. For now, however, it seems that Ebola is a manageable illness with little threat to the Americas. There are five known species of Ebola, each named for the regions where they were originally identified. The first reported cases in 1967 included 550 humans in Zaire and Sudan. The Zaire Ebola virus recurred in Gabon in 1994, causing 317 cases. The Sudan Ebola species returned in 2004, but this time in Uganda, killing 224 (53%) of 425 patients. The inflammatory response caused by the virus often leads to the body losing all it's platelets (used to plug holes), resulting in bleeding through multiple orifices. It is for this reason it is known as a "hemorrhagic fever"
A new Ebola vaccine has been developed, but low funding has halted human trials. It may be as long as 20 years before the vaccine is commercially available. Peters CJ. Chapter 197. Ebola and Marburg Viruses. In: Longo DL, Fauci AS, Kasper DL, Hauser SL, Jameson J, Loscalzo J. eds. Harrison's Principles of Internal Medicine, 18e. New York: McGraw-Hill; 2012.http://accessmedicine.mhmedical.com.ezproxy.hsc.usf.edu/content.aspx?bookid=331&Sectionid=40726956. Accessed March 22, 2014. The New England Journal of Medicine (NEJM) recently published an exciting article showcasing some breakthrough technology: physicians successfully used a device called an electrolarynx, allowing an intubated patient to communicate with his providers and family members. If you've ever had to witness a loved one in a setting where they were intubated, you know how frustrating it can be for the patient, family and staff. This new technology will be extremely helpful in intensive are unit (ICU) settings where doctors can change their treatment regimens based on feedback from the patient, improving care tremendously. The patient and device (white arrow) can be seen below. On your recent visit to the doctor's office, you had the pleasure of getting stuck with a needle and drained of a few small tubes of your blood. You were left with a painful memory, a small bruise at the site of injection and a printout of the results. You spend a few seconds looking through the words and values before giving up, but wouldn't it be helpful if you really knew what all of those numbers meant? The laboratory blood test is one of the most useful diagnostic tools of the modern physician. It allows the provider to peer inside the body like a mechanic checks under the hood. There are many blood tests available, from single tests on proteins to "panels" containing several different measurements. Two commonly ordered panels are the complete blood count (CBC) and the comprehensive metabolic panel (CMP). Our blood is made up primarily of red blood cells (RBC) and white blood cells (WBC). The RBCs carry nutrients through the body, while the WBCs protect us either by filling holes (platelets) or by attacking and killing whatever looks suspicious (leukocytes). The colors are red and white because, simply, when you spin the blood around very fast, these cells separate based on weight and reveal red-colored and white colored fluids. The CBC is performed by a machine that lines the blood cells up in a single row and counts how many are present in a set amount (microliter) of blood. WBC. An increase in WBC typically suggests that our body is training an army to kill an infection. This can also be elevated in cases of cancer or with the administration of steroid medications. The specific types of WBCs (neutrophils, eosinophils, basophils, monocytes or lymphocytes) help give insight as to what type of infection may be present (for example, neutrophils are released acutely for bacterial infections). Decreases in WBCs are seen most commonly as a side effect of medications such as chemotherapy, antibiotics and anti-seizure drugs. In other cases, a decrease may suggest that something is killing them (infection, alcohol, autoimmune, radiation) or that there is a problem within the factory that produces them (the bone marrow). RBC and Hemoglobin. The primary role of the RBC is to carry oxygen, using hemoglobin, to cells so they can use it to make energy. When RBCs are decreased, it is known as anemia. This can be caused by iron (holds on to oxygen) deficiency, blood loss from chronic diseases, genetic diseases such as sickle cell anemia, significant bleeding or a problem with the factory that produces RBCs (the bone marrow). Increased RBCs can be seen in cases of dehydration, chronic breathing problems (COPD) and some cancers of the bone marrow. Hematocrit. This is simply the ratio of red to white fluid when the blood is spun around very fast in a centrifuge. Normally, 46% of blood is RBCs. If this number is low, it's an anemia. MCV. This is the size of the RBC, much like measuring the square footage of a house. Increased MCV is seen with alcoholism, vitamin deficiency (B12 and/or folate) and a stomach disorder called pernicious anemia. Decreased MCV suggests one of the anemias described above. MCH and MCHC. These measure the amount of hemoglobin per RBC, helping the physician narrow down the type of anemia present. MCHC is decreased in the anemias described above, and elevated in some genetic diseases. RDW. This compares the RBCs to one another. If there is a large discrepancy between them, meaning some are very large and others are very small, this number will be high. The most common cause of this is iron deficiency anemia. Platelets. Platelets are very important because they plug holes and cracks to stop bleeding. Low platelets are dangerous because it increases the risk of bleeding, whether out of a wound or into body cavities like the head or digestive system. High platelets are also dangerous because they cause over-clotting, which can lead to obstruction of blood vessels and thus problems like stroke and heart attack. Platelets are often kept intentionally low with medication (such as aspirin) to reduce the risk of stroke and heart attack. Many rare diseases and some cancers can also cause low platelet counts. Parts 2 and 3 of this section, coming soon, will cover the CMP and other specialty tests. Your physician should discuss any abnormal blood test result with you. 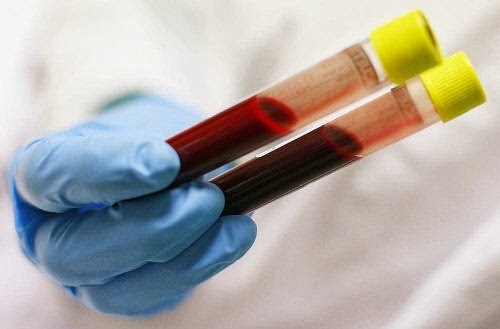 Visit our resources at thedailydiagnosis.com for more trusted information on blood tests. Chapter 5. Laboratory Diagnosis: Clinical Hematology. In: Gomella LG, Haist SA. eds. Clinician's Pocket Reference: The Scut Monkey, 11e. New York: McGraw-Hill; 2007. Klepin HD, Powell BL. Chapter 103. White Cell Disorders. In: Halter JB, Ouslander JG, Tinetti ME, Studenski S, High KP, Asthana S. eds. Hazzard's Geriatric Medicine and Gerontology, 6e. New York: McGraw-Hill; 2009. Verhovsek M, McFarlane A. Chapter 173. Abnormalities in Red Blood Cells. In: McKean SC, Ross JJ, Dressler DD, Brotman DJ, Ginsberg JS. eds. Principles and Practice of Hospital Medicine. New York: McGraw-Hill; 2012. 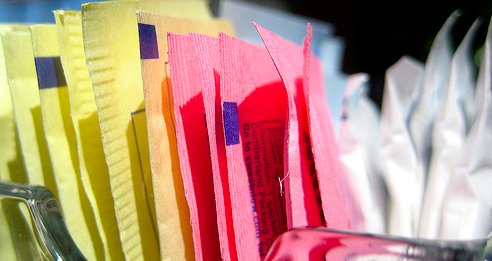 Are Artificial Sweeteners Safe For Your Children? You're mindful of what your child eats or drinks, but do you really know what they're putting in their bodies? Studies by NHANES over the last 40 years tracked childhood obesity as it steadily increased before plateauing at 20% in 2008. Many attribute the changes to a national focus on the importance of low-calorie, low-sugar foods. You grew up on foods that contained sucrose, the gold standard of sugar derived from cane or beets, but nowadays children are consuming foods with sugar substitutes such as aspartame and sucralose. As with any new product, there is little in the way of research on associated long-term health effects. How sure are you that these foods are safe for your developing children? Not all sugar is created equal. Low calorie sweeteners (LCS) are not a novel concept: sugar of lead was first used by the ancient Romans, often causing lead poisoning in chronic users. The sugar substitute cyclamate, banned by FDA for it's association with bladder cancer in rats, is still used today in countries such as the UK and Russia. Today, the most commonly used sugar substitutes include the expensive natural sugar substitute Stevia (Truvia®) and those colorful packets of sugar substitutes-aspartame (Equal®), saccharin (Sweet'N Low®) and sucralose (Splenda®). Sucralose (Splenda®), the top-selling sugar substitute found in many sodas and foods, has been deemed safe for human consumption, from conception to old age. Since the majority of the molecule is not broken down or absorbed by the body, it is considered calorie-free. In the laboratory, studies on toxicity in rats failed to show any increased cancer risk even at the equivalent of 100 pounds of sucralose consumed daily throughout a lifetime. Long-term clinical studies have shown that human adult consumption of up to 1000 mg (~25 diet sodas) per day for up to 6 months did not lead to abnormal blood work or adverse clinical effects. Similar findings exist for the other sweeteners. As adults consume more of these sugar substitutes, they are making their way into the lives of children and adolescents. What research has been conducted on their behalf? Several studies have explored the relationship between consumption of artificial sweeteners and weight changes in children, but results are conflicting. A major obstacle in these investigations involves controlling for genetic, cultural and environmental parameters. In all, they seem to suggest that when children consume sugar-free foods, many will actually GAIN weight. How could this be? Other studies explore this question, and investigators believe that children compensate for the low-calorie meals and beverages by eating more to make up for the "missing calories." This is not unreasonable, since the same phenomenon has been observed with fat-free diets in adults. Due to all this speculation and lack of conclusive research, and partly because artificial sweeteners tend to displace milk and 100% juice at mealtimes, the official position of the American Academy of Pediatrics is that foods and beverages containing LCS should not make up a significant part of a child's diet. The medical community clearly needs to perform more studies on LCS consumption in children, including long-term health consequences and weight management effectiveness, as more of these mystery products find their way into your home. Foods and beverages containing artificial sweeteners such as aspartame, sucralose, saccharin and stevia should only be a small part of your child's diet. Substitute high-sugar drinks such as cola, chocolate milk and some fruit juices for healthier options such as milk and water whenever possible. Studies attempting to link fruit juices to obesity have been conflicting. Always use food labels to select lower-sugar foods and beverages, and encourage your children to do the same. Use of food labels has been associated with consuming a higher-quality diet. Consult your pediatrician, family physician or dietician with any questions. Communicate with your child and know what he or she is eating at school when you aren't present. Additionally, studies have shown that eating dinner as a family leads to more responsible food choices and healthier eating throughout life. Avoid using sugary foods and beverages as rewards, which increases a child’s preference for that food. For more information, view our list of resources. Artificial Sweetener Use Among Children: Epidemiology, Recommendations, Metabolic Outcomes, and Future Directions. Pediatrics Clinics of North America, Volume 58, Issue 6 (December 2011). W. B. Saunders Company. Foreyt J. The use of low-calorie sweeteners by children: implications for weight management. J Nutr. 2012; 142(6): 1155S-62S. Grotza VL, Munrob IC. An overview of the safety of sucralose. Regulatory Toxicology and Pharmacology, Volume 55, Issue 1 (October 2009). Pages 1–5. Update in Childhood and Adolescent Obesity. Pediatrics Clinics of North America, Volume 58, Issue 6 (December 2011). W. B. Saunders Company. Unless you've been living under a rock for the past year, you've noticed the words "gluten free" advertised in your local grocery store or muttered by that coworker who always boasts about her latest fad diet. You may even have peeked at a gluten-free section of the store and had to pick your jaw up off the ground in response to the exorbitant prices. What is all this nonsense? As it turns out, this nonsense is being scientifically validated, and may concern you or someone you care about. Our journey begins with those amber waves of grain that sway in the wind and symbolize our country. The grain is essentially grass, typically wheat, barley or rye, containing small seeds. These grain seeds are made of two key proteins called gliadin and gluten. Grinding gliadin and gluten into flour creates an extremely sticky powder that, when added to water, forms dough. Over 10,000 years ago, humans discovered dough, thus introducing the gluten/gliadin combination to their guts. Over time, the human gut began tolerating these foreign proteins. As many as 1 in 100 individuals, however, have not been as fortunate and instead developed gluten intolerance known as Celiac Disease (CD). Their immune systems viciously attack the gliadin in the gut as soon as it's introduced, typically between 6 and 24 months of age, causing severe abdominal pain, chronic diarrhea and vitamin malabsorption. By the 1990's, doctors had nearly deciphered this autoimmune disease, including it's association with conditions such as Down syndrome and type I diabetes, concluding that a gluten-free diet (GFD) cures over 90% of patients. Fast forward to the 21st century. 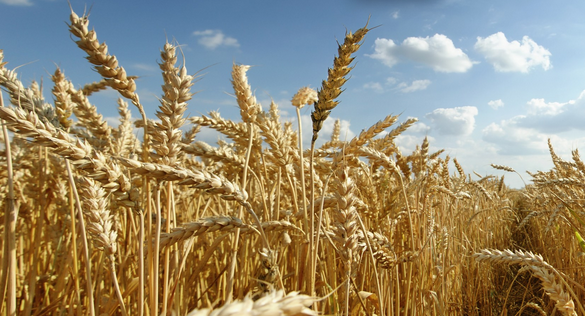 The term "wheat belly" and the GFD are adopted by select non-celiac Americans. The feeling they get on this diet is so unmistakeable-less bloated with increased lucidity and energy-that they're willing to pay a premium for gluten-free foods. These patients are thought to be suffering from non-celiac gluten sensitivity (NCGS). NCGS is a mild disease characterized by normal small bowel biopsies (a diagnostic criteria for CD). NCGS likely affects 6-7% of the population, with some reporting incidences as high as 50%. Still, it's estimated that nearly 1/3 of the American population has tried a GFD, leading to nearly 5 billion dollars a year in profits for the gluten-free industry. Studies continue to disagree on whether this trendy diet is truly palliative or yet another case of the placebo effect. More research is needed to determine the true characteristics of gluten sensitivity. 1 in 14 people may be suffering from gluten sensitivity, and the gluten-free industry wants YOU to join the ranks... is it worth the cost? Recent research has revealed that the toxic effect attributed to gluten may instead be due to another substance within grain seeds called wheat germ agglutinin (WGA). Studies are reporting the toxic effects this lectin may have on human cells. Stay tuned for more on this topic. Implementation of a true GFD is not as simple as it sounds, considering wheat is found in many sauces, processed lunch meats, candies, pre-seasoned meats and marinades. Alternative dietary sources of carbohydrates tolerated by celiacs include rice, soybeans, potatoes and corn. Always consult your physician or dietician before significantly altering your diet. NCGS remains a distinct and benign condition, and is not considered a precursor for CD. Therefore, there is no elevated risk of developing cerebellar ataxia, peripheral neuropathy, seizures, dermatitis herpetiformis or cancers such as intestinal T cell lymphoma. Biesiekierski, JR. No effects of gluten in patients with self-reported non-celiac gluten sensitivity after dietary reduction of fermentable, poorly absorbed, short-chain carbohydrates. Gastroenterol 2013; 145(2): 320-8. Biesiekierski et al. Gluten Causes Gastrointestinal Symptoms in Subjects Without Celiac Disease: A Double-Blind Randomized Placebo-Controlled Trial. Amer J of Gastroent. Advance online publication, Jan. 11, 2011. Fasano A et al. Clinical practice. Celiac disease. N Engl J Med. 2012; 367(25): 2419–26. Pietzak, M. Celiac disease, wheat allergy, and gluten sensitivity: when gluten free is not a fad. JPEN J Parenter Enteral Nutr. 2012; 36(1 Suppl): 68S-75S.